When the iPad first arrived on these shores (six years ago now, in April 2010), many people began speculating when a larger one would eventually turn up, that could start to replace a laptop. It’s taken six years, but Apple have started to achieve this, with the 12.9 inch iPad Pro. Of course, their competitors are always ready to steal their thunder, as they don’t need to stick to Apple’s artificial timescales of releasing things twice a year on big release days. The Android landscape is constantly shifting, with new players entering the market all the time, and existing players chucking out phones and tablets left, right and centre. Hannspree is another manufacturer bringing yet more products to the market, the Titan SN14T72B is one of the latest in the HANNSpad series. 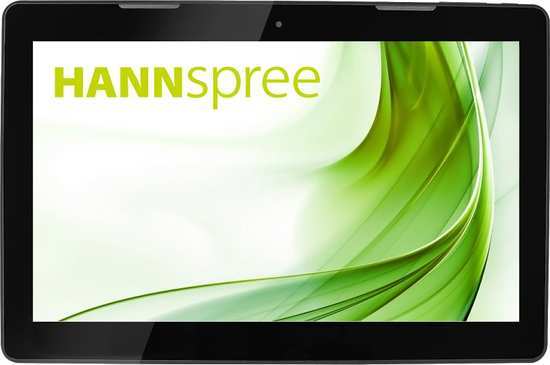 It features a 13.3inch Full HD (1920x1080) display, a 9600mAh battery, IPS technology, ARM Cortex A9 1.6GHz Quad Core processor, 2GB DDR RAM, 16GB of internal storage and a MicroSD expansion slot in order to add additional storage space up to 32GB. A bit more on the specs and then we’ll get on with the rest of it. Two cameras, as you might expect, 5 megapixels at the back, and 2 megapixels on the front for the selfie obsessed generation. Although, given that this weighs almost a kilo (940 grams), you need more of a selfie scaffolding pole than a selfie stick. It measures 326mm wide, 215mm high and 9mm thick. It weighs and measures less than its predecessor which was 1.184kg and 12.5mm thick. The Titan 2, which will soon be available, is 11.5mm thick and 1.060kg. The Titan is the lightest and thinnest in the range at the moment. For connectivity there’s 802.11 b/g/n wireless and Bluetooth 4.0, alongside a mini HDMI port, micro USB and a micro SD card slot. One important point to note - it doesn’t charge via the micro USB port, there is a separate charging socket, which requires its own charger (included). I’m guessing this is because otherwise it would take about 10 hours to charge the 9,600mAh battery. Easy. Get it out of the box, get it charging up, register it to your Google account, download some apps and away you go. You are probably familiar with how tablets work nowadays, so there’s probably not a lot I can tell you here. 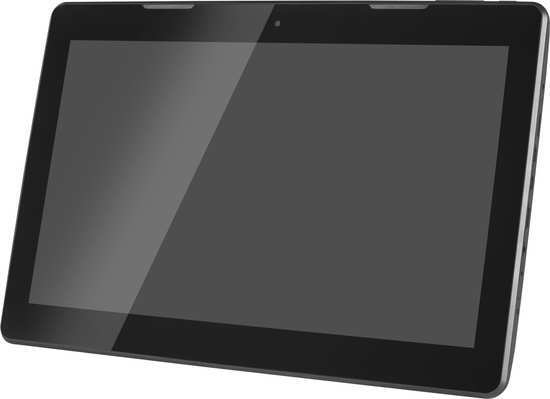 Ten point capacitive multi-touch screen. A few observations in use. There’s no stand at the back. This makes it hard to use on a flat surface, or even just on your lap, without a little something to prop it up. Obviously, you can get some kind of case, or just prop it on a cushion or similar. It’s big. That’s the attraction of this device obviously, but that comes with weight. It weighs a little less that my ASUS ZenBook (the poor man’s MacBook Pro), so you might want to think about that for a bit. My ZenBook can do everything I need, this large tablet is limited by the apps available. For me, there are enough for me to do most of the things I need to do, but you need to do your homework to make sure there are enough apps to make your life easy. It’s a big unit. That’s what makes it so attractive. The big screen is perfect for watching TV and films. There’s enough space for easy web browsing. Loads of room for all of your favourite apps, from games to more serious stuff. The screen is decent quality, it’s pretty responsive. The camera is pretty good in reasonable light conditions. Like most tiny lenses found in phones and tablets, it struggles when things get a little darker. It is also quite hard to use as a camera unless you are reasonably strong - operating a camera that weighs nearly a kilo is a bit of a challenge. The brushed aluminium design looks better than the price tag might suggest, you won’t feel embarrassed getting this one out in public. If you need a big tablet and you’re on a budget, this will fit the bill just nicely. So many uses for a screen this size at this price point. You can read all about the newest model here.